An East African Crowned crane, I am reliably informed. 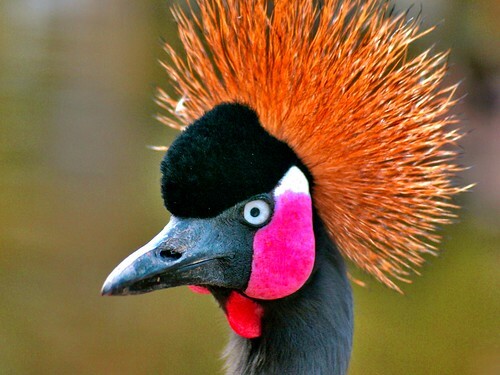 This is a Crowned Crane. Its the national bird of Uganda.